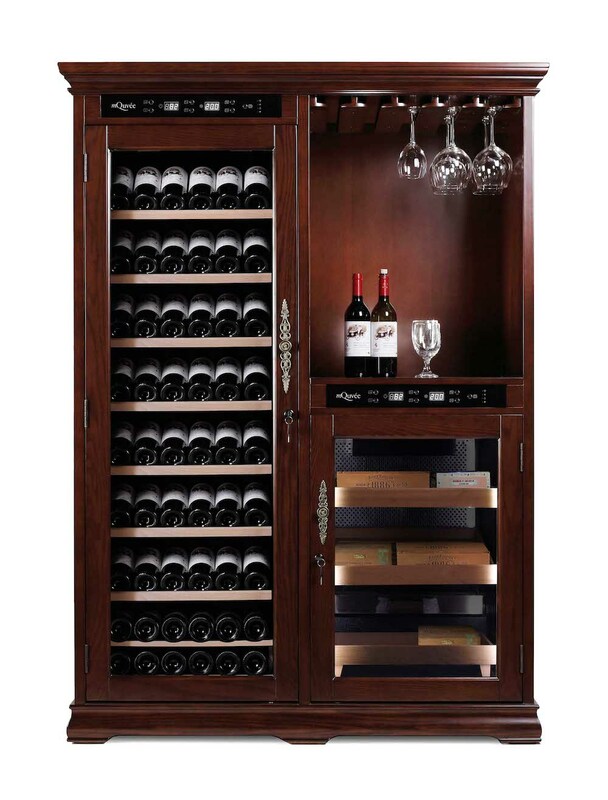 Furnish your home with this magnificent wine cabinet combined with a cigar cooler, made en-tirely of solid wood (American oak). 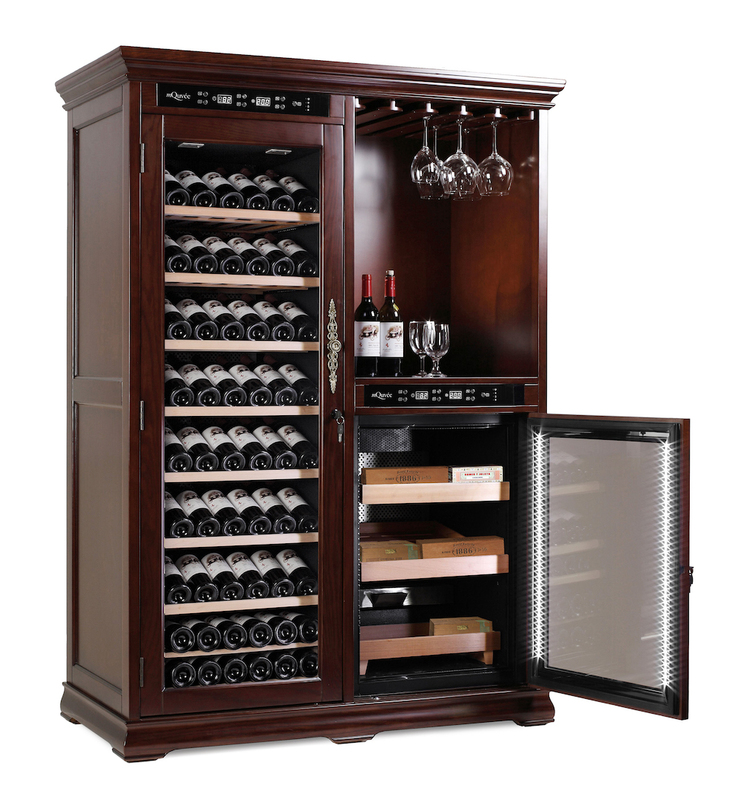 It offers the possibility to store both your wine and your cigars at the right humidity and temperature. The shelves in the cigar cooler are made of cedar wood, which gives the best results. 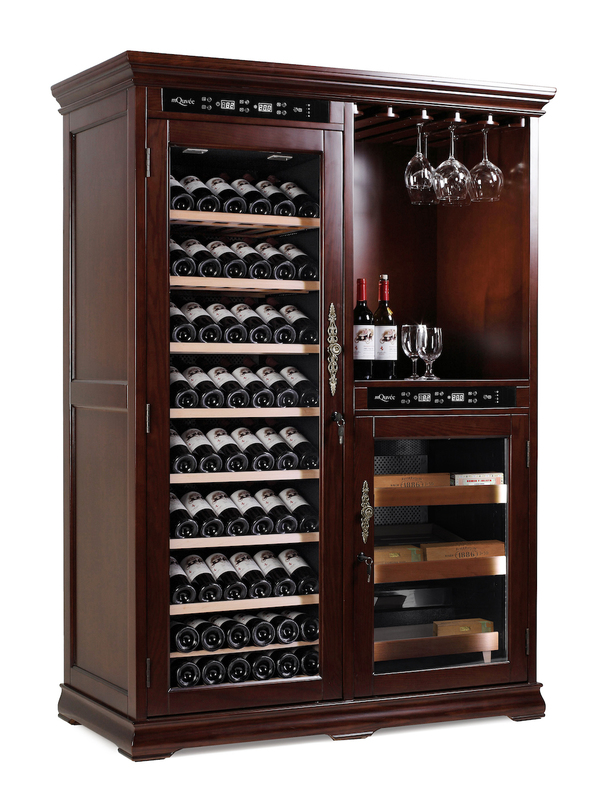 View and store both wine and cigars with style in a com-bined cabinet made entirely of wood, from mQuvée!